Caela was involved with UMD Cru throughout college until she graduated in '11. She has traveled the globe in her time with Cru, including her most recent trip to Kazakhstan. Caz has been on staff with Cru since 2012. She loves: reading books and working on puzzles. She loves her job with Cru because she gets to work with so many Terps who bring passion and excitement to the world! Originally from Damascus, MD, Jeff graduated from UMD in 2012 with a degree in communication. 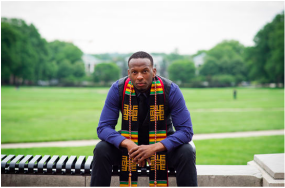 After interning with Maryland Cru for two years, he attended Covenant Theological Seminary in St. Louis, where he received a Master of Divinity (MDiv) in 2017. Jeff loves reading good books, doing CrossFit, and continuously re-watching The Office and The West Wing. Heidi was involved with UMD Cru throughout college until she graduated in '09. She traveled with The JESUS Film Project for two years before returning to Terp territory as Cru staff in January '13. She loves: singing, dancing it out w/ the ladies and prank wars. She is married to Geo, a stud she met in UMD Cru. She loves her job with Cru because God's Word and people will last for eternity, and she gets to spend her time building God's Word into people. 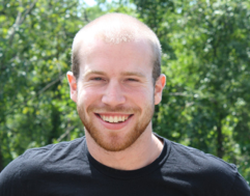 Brian is a 2011 graduate of the University of Maryland and is excited to work with Cru at his alma-mater. Brian loves the University of Maryland, sports (Go Ravens and O's! ), and people. (Bridges International) Andre and Dana bring wisdom and bring the fun. They have four kids, including one Terp. They give leadership to Bridges which is a Cru ministry to help connect International students on campus. Andre and Dana enjoy skiing and the outdoor life.